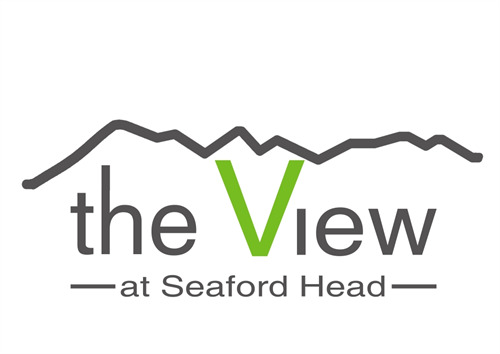 On Saturday 2 July, Robert MacDonald, Restaurant & Bar Manager, was delighted to present Jamie Jasper (winner) and David Garner (runner-up) with their vouchers to dine at The View. 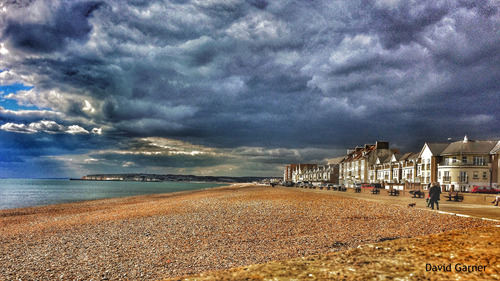 Seaford Town Council received some wonderful entries each depicting Seaford seafront, but it was Jamie Jasper’s atmospheric twilight shot that received the highest number of Likes on the Council’s Facebook page, followed very closely by David Garner’s moody autumnal photograph. The winning photographs have been mounted on canvas and are currently on display at The View. Further winning entries will be added each month to what will become a stunning gallery to be enjoyed by all. Budding photographers should find plenty of scope for some striking images from the tranquillity of the Peace Garden to the vibrant flower beds. Sporting shots are also very welcome, whether of the keen footballers or green bowlers. Often described as a ‘hidden gem’ the Crouch Gardens are a real community hub, offering many different activities and environments to be enjoyed by all. 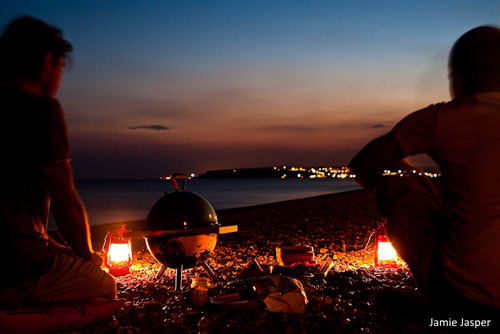  By entering the competition, photographers will be giving their permission for Seaford Town Council to use any of the images submitted in its future publications. The photographer’s work will be credited.  The competition is not open to commercial photographers.  Seaford Town Council reserves the right to only publish a limited number of photographs where a large number might be submitted by one person.  Please note that Seaford Town Council cannot publish images where young children are identifiable unless written permission is provided.  Submissions should be received by noon on Friday 29 July. Above: winning entry from Jamie Jasper. 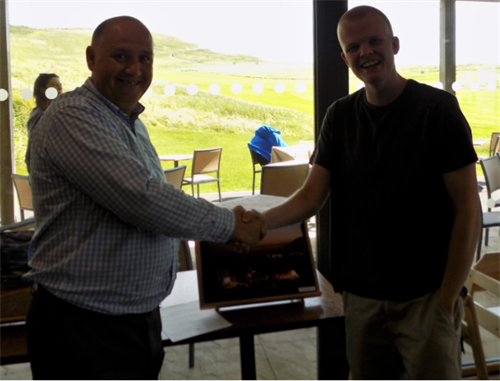 Jamie (right) receiving his prize meal voucher from The View Manager, Robert Macdonald, and the unveiling of the canvas to be displayed at The View. Below: the close runner-up entry from David Garner. 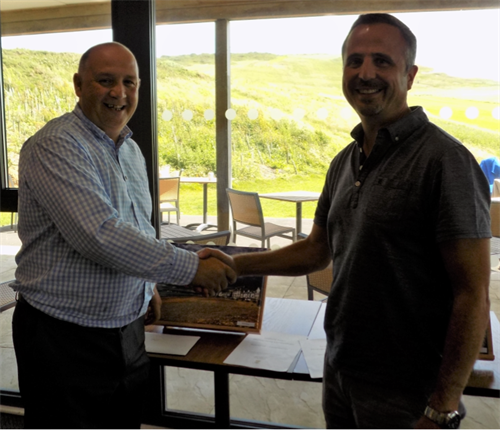 David (right) receiving his prize breakfast meal voucher from The View Manager, Robert Macdonald, and the unveiling of the canvas to be displayed at The View.